“Working with Judy and John could not have been smoother. They are both amazing people, and breed excellent dogs from top imported blood lines. Ruby and I know a number of working dog handlers and professional trainers who regularly remark at how clean she is from focused heeling to protection. We attribute much of this to training, but equally to her amazing bloodline. Thank you, JJK9 Ranch for providing our family with our perfect K9 companion, @Rubyreux! I wanted to express my family's sincere thanks and to talk about our experience with JJ K9 Ranch. I hope the following gives some of your future clients an idea of the fantastic opportunity they have to purchase a dog from your breeding program. Our search for a working line German Shepherd led us to Adlerhorst Kennels and JJ K9 Ranch after receiving some information from a friend familiar with police service dogs. I was aware of the reputation of Dave Reaver and Adlerhorst Kennels but I was unaware that Adlerhorst had selective breeding and puppies available on occasion. I was happy to find out that Adlerhorst did some periodic breeding of working line German Shepherds. We placed a deposit and purchased a female from the breeding of Wolf and Juma. Prior to selecting a pup, I was lucky enough to meet both parents (I took a bite on the sleeve from Wolf...what an amazing and strong working dog!) and we met Juma (a great working dog imported from Europe with a friendly, fun loving personality). When the litter arrived we fell in love with a vibrant young Sable pup that trotted around JJ K9 ranch with a happy, confident attitude. She even stole my sunglasses off my shirt and ran off with them (I think that sold it for us). We named her Luna, took her home and we have been happy ever since. Judy did an amazing job raising her and was always available for advice and help when we called her. I have experience with working dogs and can tell the potential client that there is a tremendous responsibility in owning one...but the rewards are amazing. We were primarily looking for a family pet and guardian, but personally I was also looking for a dog that would allow me to train in French Ring Sport, a highly demanding working dog and protection sport. Through the great genetics in her background, coupled with Judy's expert loving care in raising the puppies, Luna has exceeded all of our expectations. Luna is incredibly smart, very talented in French Ring Sport (her trainer thinks she is a natural and advanced for her age), and a loving, sweet dog at home. Her drive to work in French Ring and Protection is only matched by the love she shows her family on a daily basis. Luna is naturally protective of us, but keys completely off our demeanor and once she sees we accept a person she greets everyone with incredible friendliness and enthusiasm. All of this appears just natural to her and is obviously the product of fine breeding. 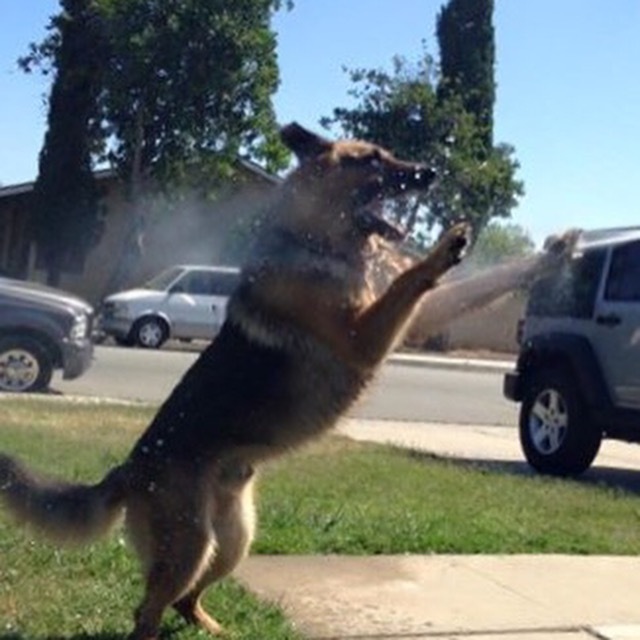 Again, the responsibility of owning a working line German Shepherd is a very real one. I encourage people interested in a working line German Shepherd puppy to fully do their research, then embrace the responsibility and the hard work that it entails. The various things these dogs can achieve are truly amazing, but the dedication they show has to be matched by the commitment of their families to work with them. As working line dogs, they only truly achieve happiness, structure and purpose with a "job". That is the environment where they truly feel complete and happy. I highly recommend both obedience training and any of the many things that allow these dogs to reach their full potential and mental stimulation, such as working dog sports, agility, search and rescue, protection training, etc. They are really capable of almost anything, while at the same time they can be a loving family member and first rate protector. We absolutely love Luna and our life with her is amazing. My family has a sweet companion and protector. I have a loving companion, friend and partner to enjoy French Ring Sport, something I've always wanted to do. We hit the lotto with your breeding program. If any of your potential clients is looking for a healthy, sound and capable working line German Shepherd...they couldn't have found a better place than JJ K9 Ranch and Adlerhorst Kennnels. Our thanks to you for all you have done. I have been so anxious to see my Rusty Gene spod Mazlova (son of Karma & Wolf). Judy you came out of your way and spent time out of your busy life, so I could finally meet my beautiful boy!!! You have taught him to be so obedient that my friends couldn't believe he's only 6 months and still a puppy! 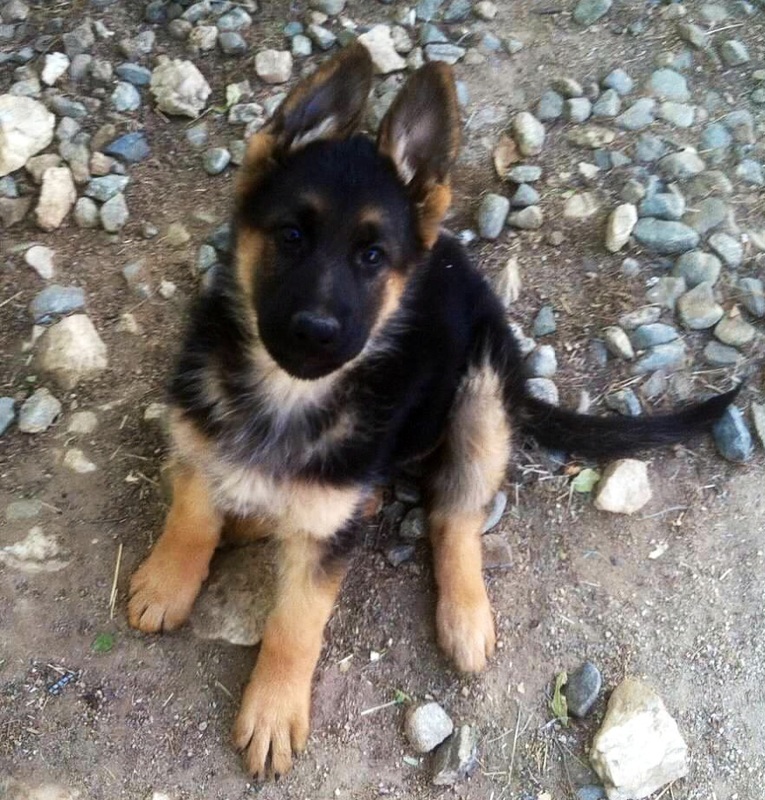 It's so obvious watching over your site that you are exceptional at raising the best of German Shepherds. I've followed the K9 training and they are all attentive alert and anxious for every command and wait for the next one. They are so eager to please and learn. I hope I can learn the ropes and will follow through with his training as you. 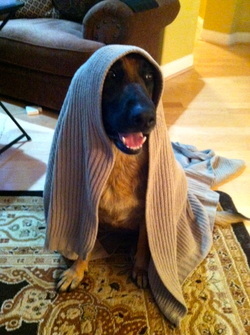 My other shepherd was also intelligent. He wasn't from Europe but only needed instruction once. Knowing what I do now I know I have the best and I'm so proud and anxious when I can have him with me forever! I love him so much and anxious to return from my hopefully, last long trip from Florida so I can finally have him! We just love him so much! I seriously have not had an ounce of problems with him! He doesn't dig, he doesn't bark when he's not supposed to, he doesn't chew on anything but his toys, he was potty trained a month in of having him. He is such a good dog all around! His personality is so cute too! And he is so good with other dogs! We bring him everywhere and he has never shown aggression. Mayhem has been a part of our family for over 4 years now. Not only do we own one of JJ K9 Ranches German Shepherds but we were lucky enough to have Nado come into are lives also I never have to worry when I'm home alone or when my boys are playing out front Mayhem keeps a close eye on them and he is showing Nado the ropes around the house. Both Mayhem and Nado enjoy going camping with us hiking and 4 x 4 we couldn't ask for better four legged family members. Thank you JJ K9 Ranch for making our family complete. The "Mighty Flynn" is just over 4 months old. Now that he has all his shots we go everywhere together! Swimming at the lake, hiking, home depot, and enjoying a cold drink at the local outdoor mall. He is very athletic and coordinated for such a young dog so I need to remember his youth and keep the obstacles we climb and leap over within reason(and i do mean WE!!). He is progressing at the speed of light with his obedience training. Again, it would be very easy to push for too much too soon in a pup with this talent. He is my bright star. It was so funny, the other day he picked up one of my shoes that I wear when I clean the horse's corral (you know how dog's feel about horse poop!). I told him to "drop it", a command he knows very well. He really wanted to chew on that shoe so badly!!! He sat down, rolled his eyes, and in slow motion let go of the shoe! Now you know that pup got the best bone I had in the fridge!! What amazes me, is how deeply bonded we are, yet when I need to leave the house and be gone for a period of hours, he doesn't get separation anxiety. I guess Flynn is just about the best dog I've had had the pleasure of teaming up with. I can't wait to see what the future holds for us. My dear Flynn is such a superstar! So easy to train, He will remain in a "sit, stay" while I open the front door. "leave it" even when I put a Juicy bone in front of him. (don't worry I don't make him wait long before he can have it!) "down" even though he hates this command! He is very confident and strong-minded yet is willing to submit to me. The perfect temperament! Thanks Judy for my best friend!! Montana here. It has been a month since I left the ranch. I miss you, mom and all my brothers and sisters but I am having fun here. My new mom decided since I was a Montana dog now, I had to know what a cow was. She put me on my leash and we stood in front of the store and watched the cattle drive go by. Mom thoroughly thought I was going to bark at the cows, horses and 4 wheelers going by but there were so many of them and they were so big I wasn’t sure what to think. Glad mom was there!! This last weekend was more fun. My new mom was up at the place in the mountains. They were painting so mom kept me away from the paint area and outside but she took me for a couple of walks around the perimeter of the property and I was such a good puppy, I was off leash and stayed right by her heels. It was so hot though so mom kept the walks kinda short. That was okay with me. I just drank some water and layed down in the shade. My new mom cannot believe how big I am getting so fast!! I weighed 25 lbs my last vet visit and I think I am more now. She bought the biggest wire kennel she could buy and keeps it next to her side of the bed. That is where I have slept every night since I got here and I have slept through the night every night since I got here. (Of course we get up at 4:00 in the morning on the days she works.) I am happy about the bigger kennel now I can really stretch out. She still uses the crate in the car but that won’t be for much longer. It is okay for now because the store is only 10 minutes from either house. I think I should be free in the car but mom doesn’t want to take any chances with me running amok in the car and getting hurt. I am going to go now. Mom and I just got back from the mountain house. She had to run up there because she forgot her phone on Sunday. Silly woman. I don't suppose it has anything to do with her trying to keep up with me and my toys, and my water and my leashes and getting me packed up safely in the car with the air conditioning running of course!! Anyway, it is nap time for me. Give my love to my mom and Grimm, wish they lived closer so I could come see them and lots of love to you Grandma Judy!! Best dogs ever, smart loyal, we love them. I know it’s been a long time since we updated you with Marrik’s progress and what a beautiful german shepherd she has become in one year. I keep up with the Ranch through Facebook so I know you have been super busy too! Once again, what gorgeous pups you have to give to some lucky families. I thought I would send a couple of photos of Marrik in her more relaxed moments, enjoying a beautiful day on our two acres overseeing the play AND protection of her young charges. Mind you, no training was necessary for her to be in command of the surroundings. Purely a natural tendency of the breed. Curious, alert and always present around the family. Enjoy! First of all, thank you very. We can not express any further how sad we are that we have to give up Lucky due to our neighbor complaint circumstances, we really love him very much. Now, after we handed him over to your sister, we have already missed him. Second, we learn a great deal of experience to have a companionship of GSD. We are living in a town home community in Livermore. In order to have a GSD, it has to have a backyard. Third, we are happy that we have met such a nice pet lovable person / breeder just like you. 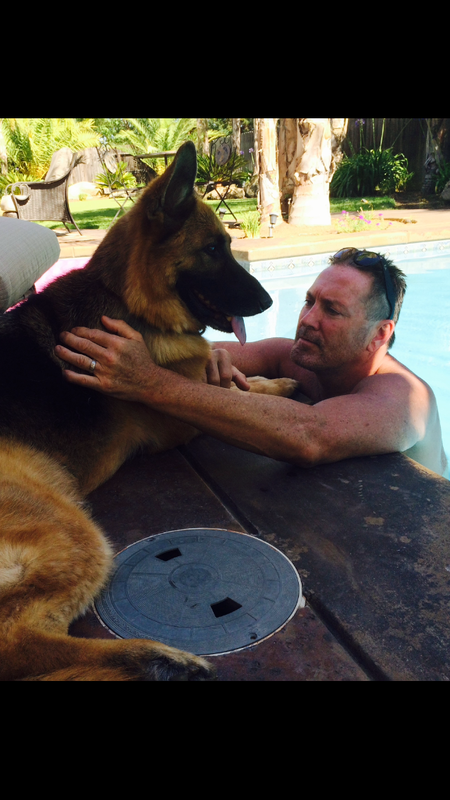 We are totally in love with Berta, she is one of the most beautiful German Shepherds we have ever owned. She has a great prey drive and very easy to train, just wants to please us all the time and gets along great with the other dogs. We've taken her to the snow, beach, & desert. You name it and she loves it all! Berta is a Very confident and secure girl, not afraid of anything. I am so happy to have met Judy and her beautiful dogs, she truly has the most amazing German Shepherds, and I would't buy from anyone else. I actually have two of her gods and looking to get another one. You can never have too many German Shepherds, especially when you have 5 acres for them to run on. Thanks again, Judy, for my gorgeous babies. I picked up Ozzy from JJ K9 Ranch October 2012 he's actually my very first dog ever. Before I left the ranch with this little 8 wk old pup, Judy made sure to give me a few tips on raising a pup. From the start once I returned home every evening we would go for jogs and where ever I went he wasn't far behind. He a amazing German Shepherd where every we go people have to stop us and ask questions about him. Ozzy's favorite thing in life is going 4 x 4 with me and my family, I let him out of the jeep and he shows us the way day or night. Judy actually joined us on one of are jeep adventures and laughed at Ozzy fun loving adventures outdoors enjoying life along side of my son and girlfriend. No matter if I'm taking my son to the park to play Ozzy watches over him he's also the best hiking and camping friend I could have ever ask for. More then a few times he's also joined me at my local watering hole once the bartender notice him waiting patiently in the back of my truck he always gets invited in to join the party. I couldn't ask for a better wingman then my best buddy Ozzy. Thanks JJ K9 Ranch for not only selling me my best friend but thru the years always being there posting pictures I've sent to you adding my own personal slideshow for Ozzy on life off the ranch page I can go back and view him as a pup to a handsome adult German Shepherd. Judy cares about each and every pup that leaves the ranch and it shows. 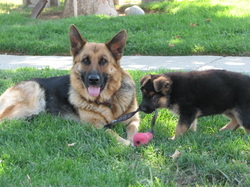 My family, was looking for a German shepherd breeder after the passing of our two German Shepherds, a few years ago. I did talk to breeders nearby and around. We live in Hollister, California. I saw Judy’s website and could feel and see her love for the German Shepherd breed. I had showed my husband Judy’s website and we both felt, she was the breeder for us! I believe, the passion and love for the breed from the beginning makes the better family pet. I enjoyed seeing her working with her dogs and puppies. Also, Judy just happens to breed the most beautiful puppies there are! We take Logan, out and receive numerous compliments. We waited for a year to have a puppy from Nero and Chief and it was worth the wait! Judy, kept in touch with us while we waited for our puppy. It was a pleasure working with her. She told us where we stood on the waiting list and honored that. Some breeders will put their friends and acquaintances in before you may choose your dog. Logan, is healthy and strong and a total joy. Logan, is a cherished member of our family. He has brought many laughs, great family dog and great for protection. We live in a corner house and people know when you have a German Shepherd! They robbed our next door neighbor that has Pomeranians! 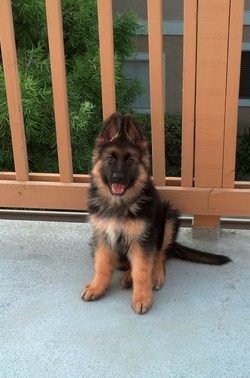 If I am to choose another German Shepherd, I will definitely be calling Judy! Our little boy has grown up so fast! He has taught us a lot and we love him more and more everyday. Even when he is being stubborn, I wouldn't give him up for the world. I want to thank you for trusting us with one of your little ones! Seeing all these pictures of folks picking up their new pups brings back a ton of memories. Only nine short months ago I brought home the newest addition to my family, Daniel Boone (Aka, Boonie). Judy does such an amazing job...her hands on approach to knowing each puppy inside and out. Exposing them to different sights, sounds, toys and other aides makes the transition from her home to mine/yours that much easier!! Boone is so smart, has a tremendous nose and an uncanny ability to learn new things. Even at nine months I've got to make sure I'm on top of my game. He outsmarts me some of the time!!! You get what you pay for with Judy. But remember, training and exercising these kids is PARAMOUNT to their well beings. Don't let them down! Thanks Judy for Boone!! This letter is looooong overdue! I’ve had the intention of writing this from the day I brought my little boy Zieten home from JJ K9 Ranch aka “Grandma Judy’s”. 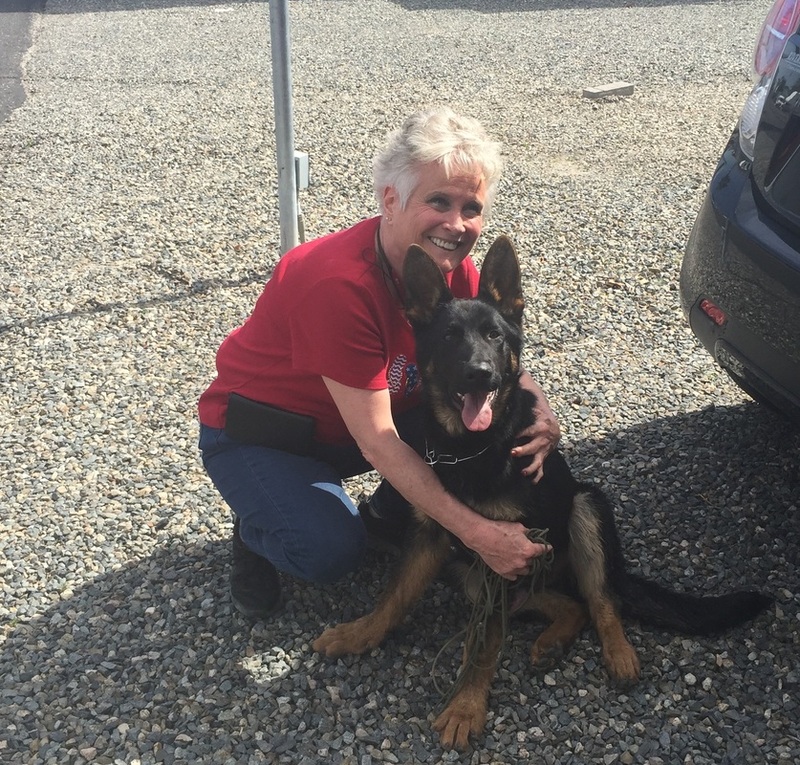 I guess its taken me so long because I see and or talk to Judy at the very least once a week at Adlerhorst International K9 Training, where I take Zieten for training (obedience/protection), where Judy takes Nero (Zieten’s father). I also get to see and have become friends with a few of the other owners of Zieten’s litter-mates, and of course the main topic of conversation is always our pups…How smart they are, how good looking they are and how lucky we all are to have found who we all consider to be the best breeder in the WORLD!! So now on to my not so little boy ZIETEN. Growing up we always dogs. Out of the many that we had 2 really stood out and the best out of those 2 was a German Shepard named Kodi, he was truly a dog that I felt could never have an equal so for many years after he passed away I never even thought about trying to replace him…..Fast forward 20yrs and one day my parents told me they wanted to give me a GSD pup for my birthday, they had already been in contact with Judy and she was expecting a litter in Aug just before my birthday(Chief’s first litter)and I would have first pick! The day I picked out Zieten, Judy was sooo patient and let me take as long as I wanted to pick just the right pup for me and let me tell you, that was one of the hardest decisions I ever had to make…I wanted all of them!! From day one Zieten coming into my life has been the best!! I could go on forever but just let me say, Zieten is incredibly smart, very well tempered, an excellent protector and very, VERY Good looking, handsome, beautiful. I’ve had people stop there cars, make U-turns when were out for a walk, just to comment on how good he looks and then they always will ask “where did you get him!”……In short Zieten is hands down the best pup I’ve ever had!!! 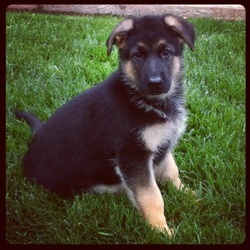 If you want the best GSD pup you don’t need to look any further, you’ve found the best in JJ K9 RANCH!!! I remember the day I met John & Judy they welcomed me and my husband in and showed us around the ranch. I was in love with all the beautiful GSD's and you know when your at the ranch you have to say Hi to uncle okie since he helped keep a eye on all the pups. Judy new we wanted a girl so she had them all out playing. Before I new it I couldn't take my eyes off little Delila running around with the biggest ears standing straight up. My husband on the other hand looking at the one with the biggest paws and talking sports with John lol.. Delila running up to me it was a match she was mine. You come to the ranch looking for one friend and you leave with two, your new pup and Judy. All of Judys grand pups hold a place in her heart she loves all the updates and fun pictures. Any time you have question or need help Judy is always willing to help. Delila is so smart I'm not a dog trainer at all but I had Delila potty trained in two weeks after bringing her home then we worked on sit,stay,hi five just for fun there is nothing she can't learn. I new I wanted her to be able to go to the park and play off leash even if kids are playing she knows to keep her eyes on me. Makes me smile when I hear the old man across the street telling his wife "look at that beautiful dog she watches everything her owner does and does everything she asked her to" every morning he's out drinking his coffee watching Delila. I can't picture my life with out Delila and I've made a great friend Judy Smithson. It makes me smile when Delila and I are out hiking with Judy and she tells me Delila loves you so much. I Love JJ K-9 Ranch! Judy, the owner cares for each one of her dogs and puppies like they were each her own kids and grandchildren. All of the GSD’s are beautiful and super smart and she is 100% committed to making sure both animal and owner are happy. Judy is a rare and awesome breeder and I highly recommend her. My husband and I purchased our puppy from JJ K-9 Ranch and we couldn’t be happier. Our female is super smart and beautiful to boot. We mainly cared that she had a good temperament and learned well and we got so many more wonderful attributes in our dog. She is smart and just oh so beautiful as well as fun loving and gentle when she needs to be and protective when she needs to be. If you are looking to get a German Shepherd Dog puppy from one of JJ K-9 Ranch’s litters, I would say you have taken a step toward the right direction for one of the best decisions you can make in life, how to pick a best friend. On top of all of that, the breeder is also a groomer so if you ever need help with grooming your GSD, she will be more than happy to help with that also and she does that perfectly as well. I can’t thank Judy enough for all she has done for us and our perfect girl, Ember. Thank you! Just wanted to say "Thank You" for the special Fur person we purchased from you. 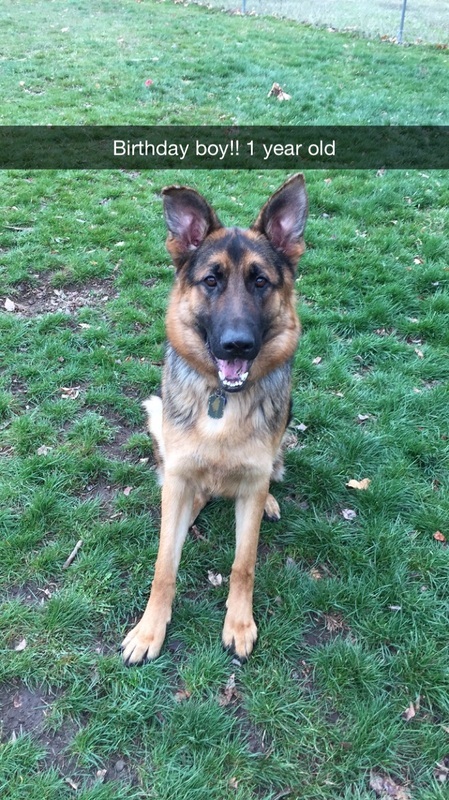 After we put our beloved German Shepherd "Kooper" down, I never imagined we would love another Dog like him again; Then Alexandria started to check out several Breeders all over the Country, when she found your website. After several emails with you, she convinced us to check your Ranch out. Our first visit I was the reluctant one, and let the Girls decide. Your Dogs were Beautiful, and I liked the attention you gave to your pups. On the second visit I spotted Jacob, and knew he was the one. The day of pick-up, Alexandria, and Karen decided He was it. After 18 weeks I cannot imagine not having Him, what a joy. Not only do you Breed Excellent Dogs, but your personal touch after they leave is really helpful as they grow up. To anyone who is in the hunt for a quality German Shepherd, please checkout JJ K9 Ranch before you decide. What a delight it was working with Judy and the ranch. Living out of state I was unsure about how this would go but have to say it was the easiest process ever! We made our deposit and Judy was great about sending pictures and videos and made us feel that we were a part if the entire process. 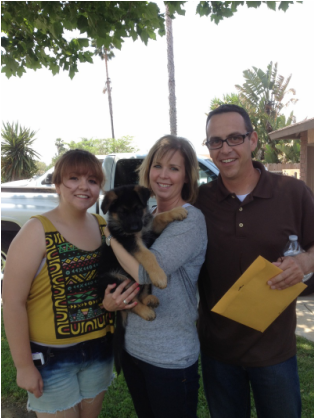 By the time Kane arrived we already knew Mom and were so excited! Judy takes the time to answer questions and help prepare you for the new addition. Judy is not just another breeder. Her love for these furry little friends is evident in all she does! Judy handled everything including making the flight arrangements, dealing with vet checks, and preparing our little guy for travel. The breed is exceptional, the care these little guys receive is top notch, and he has quickly become part of our family. A warm thank you to Judy and the ranch for all the care, planning, and truly remarkable service! 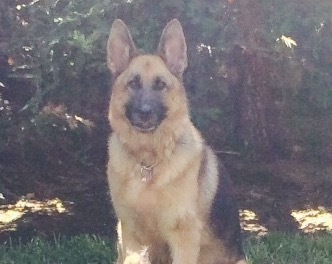 If you are looking for a beautiful, healthy, well bred German Shepherd Judy and the ranch are simply the best! If we can answer any questions just let me know! JJ K9 Ranch. Recently I purchased a puppy from Judith, and after 3 months of putting my name on list I brought one home, but it's the process leading up to the day of bringing my dog home I wanted to talk about. Judith kept me in the loop the whole way, and you can tell by the way she updates and takes care of the puppies this is her life, she loves all the dogs with a passion and it shows in her work and the experience you have the moment your added to waiting list. I've never had pedigree puppy of this quality before, and I feel that Judith is there to lend a hand if I have any questions or problems. Well just wanted all to know I have a great dog and the experience was great, if I could find room for another I'd call Judith first thing. I never thought that I would be buying another German Shepherd any time soon. For we had a beautiful, gorgeous, and smart shepherd named Gina and she was only 8 years old. But Gina passed away September 25, 2012. My husband and kids decided they wanted another dog soon, I was hesitant. My husband did not want to replace Gina so he wanted to adopt a Labrador. I asked him why he wanted a dog so soon after the passing of my beautiful Gina; he said he wanted a dog to protect the kids and us. Well my response was,” What is the Labrador going to do if there is an intruder?” So after some discussion we all realized the only dog for our family would be another Shepherd. We are not new to dog ownership. We have had nine dogs; five of them have been German Shepherds. So we searched the Internet in search of a German Shepherd breeder because the breeder that we got Gina from had retired. As I searched I came across JJ K9 Ranch. I was immediately drawn to the site because Judy’s dogs are gorgeous. I called her and found out she had a light faced female puppy which she said was larger than her dark faced sister. That was perfect because that was exactly what we wanted. I put Lily’s picture from the website on my iPhone and as we went to see other puppies I would compare then to her picture. We never found another puppy that was as beautiful, smart and full of energy as Lily. Even though Lily was gorgeous what really sold us on her was, Judy and John. They had a beautiful, clean and great environment for breeding great puppies. From the moment we met them we knew they loved dogs as much as we do. The puppies were social and happy. Some of the other breeders we met had puppies that were small, scared of people (not very social) and the environment was not ideal. When we got Lily home we began to realize how smart she was. She was easy to potty train, and has not got into much trouble. She learned her commands with ease. Any time we have questions, Judy is always available to help. So I hate to say it but Lily is truly the smartest, best-bred, and most beautiful shepherd we have ever had. Even as a small puppy she would growl if she heard anything unusual outside and would courageously go investigate. Her hearing is very sharp. From a deep sleep she is always aware of her surroundings and immediately jumps up when something is out of place. Lily is now almost 8 months old and she is a joy to have. She turns heads wherever we go. People are so impressed with her beauty and with how well mannered and trained she is. Lily is our fifth shepherd and our third female. We strongly prefer females to males for several reasons: they are more protective, tend to be smarter, are eager to please, and want to be commanded. The females are protective of the entire family. They are gentle with the kids and will generally sleep where they can keep an eye on the family. Males will mark their territory by peeing all over. Our dogs live in our house and are part of our family, and I know for a fact that Lily would protect us with her life. 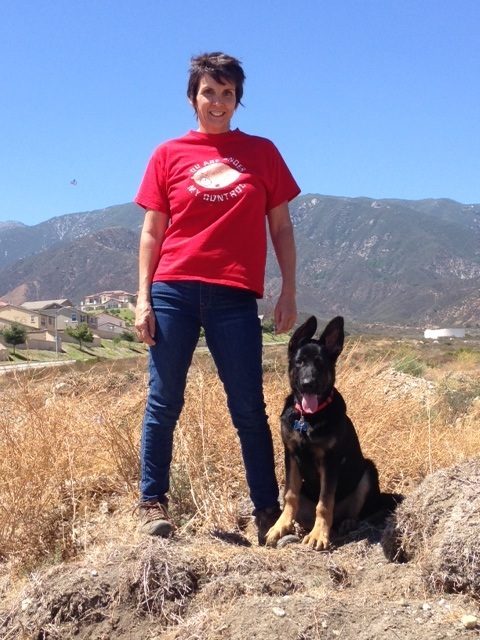 You will not find a better, more caring breeder with great dogs than JJ K9 ranch. Lacy born October 5, 2011 is the most gorgeous dog in our area and everyone who sees her comments on her beauty. She is also very well behaved. After I had to put down my dog Cemy on June 20th 2011, I didn't know what to do. It was a terrible feeling losing your best friend. She was my first dog and a very good one. I had her since I was a little kid. I waited a few months and decided as much as it hurt, to get another dog. No dog would ever replace her but to begin another friendship with one I thought would help me. Cemy was a German Shepherd/Husky mix so I decided to look for a German Shepherd knowing the qualities they have. I searched the internet and compared different sites and noticed that JJ K9 Ranch had the best looking dogs. After researching more they were also well behaved and really intelligient. I read Chaos blog everytime there was a new posting. I decided that I would be getting a puppy from JJ K9 Ranch. When I arrived at JJ K9 Ranch, Judy greeted me like family welcoming me into her house. We went into the back and met the pups. I wanted a female so I went and played with the 2 girls. Before I saw them in person I decided to pick the bigger of the 2 females, but the smaller girl picked me out. She jumped all over me licking me and wanting to play. I noticed this pup had to be the wild one of the litter. I wanted her right away. She was so cute and full of energy. Judy mentioned that she had to put down Chaos and was really emotional. I really felt for her knowing how that feels. I was really lucky to be able to get her last litter (10/5/2011). I decided that her name would be Penny CHAOS Magennis. On the very first day home I noticed how smart Penny was. She figured out how to go out the doggy door, even though she had to climb out cuz she was so small. She figured out where to go the bathroom and never had an accident inside the house. Penny is a very hyper dog but also well behaved. She loves her family and we love her. She always goes room to room to check on everyone. She loves people but also is very protective of her family, house, and truck. Everyone who sees her always says how gorgeous she is. Everytime I had any questions on training or anything Judy was always there for me. She helped me out a lot with Penny. I really appreciate having her there for any questions that I have. 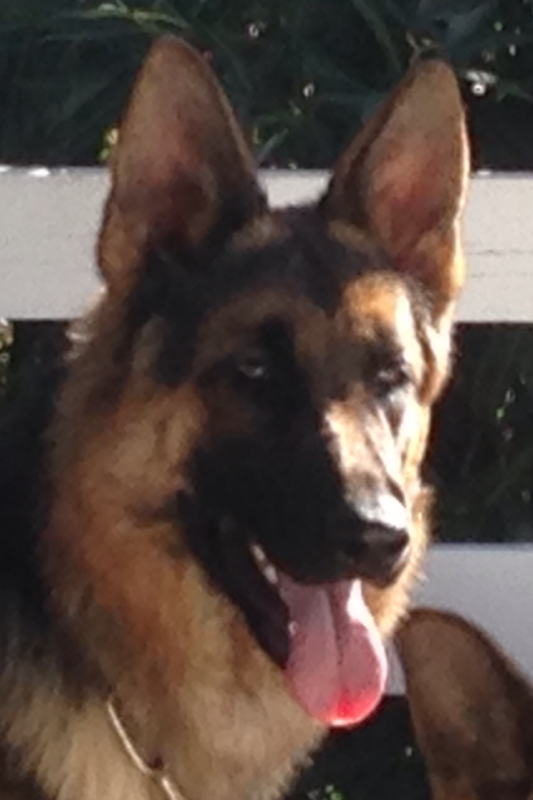 If you are looking for a great dog you can't go wrong with JJ K9 Ranch's German Shepherds. I'm very satisfied with Penny and the help Judy gave me. I will definately get another German Shepherd from JJ K9 Ranch in the future. Every so often I always go view JJ K9 Ranches website since I purchased my best buddy Wilson from Judy and noticed that customers are able to post about there experience with purchasing a pup from them. Wilson will be 5 yrs old this year and he is the best dog, there's not a day that he doesn't make me laugh. We live up in Washinton State he loves everything about being in the woods from hiking to his favorite thing is fishing to the first snow fall. Very seldom do I ever put him on a leash he's always been by my side from the start. Everyone knows Wilson were ever we go in our small town. People always greet Wilson before me most of the times an that's fine with me. I'm very happy with everything about Wilson his personality he loves playing ball when summer rolls around I can't keep the guy dry he's in every stream or lake he sees. I remember the day I called Judy to ask if she had any pups for sale. Judy said my girl Chaos only had a litter of one 10wks ago and he's for sale; but there's only one problem! My response was I'm not interested in a pup with problems, she said the problem is I kinda named him WILSON since his mother loves playing ball and will carry a ball around all day if she could. She said you can change his name I'm sure he won't mind. So me and my wife headed over to meet this pup and fell in love with him. Judy already tot him to sit lay down and come when called and he was just 10 wks old. There was no way I wasn't going to be taking him home with us. Needless to say we never changed his name at all for some reason Wilson has just been a perfect fit for him. And I'm happy to say I was very lucky to have bought him from Judy / JJ K9 Ranch because she seems to love and treat her German Shepherds as part of her family and it shows thru Wilson great personality and if I was to ever lose my best friend I will be calling to ad my name to one of Judy's puppy waiting list. Judy loves her GS just like they are her children. These are Great, Smart, & Loyal dogs. I am so glad that I found her and that have a great family member that I added to my home. We have now made a life long friendship with her and her dogs. Also love the website on how informative it is on keeping us informed on the growth of the pups from birth till puppy pick up day and beyond.